You'll find plenty of places to visit near Cape Town: Cape Point Nature Reserve (in Cape Town Central), Boulders Beach (in Simon's Town) and Cape of Good Hope (in Table Mountain National Park). There's lots more to do: take your sightseeing to a higher altitude at Table Mountain, examine the collection at District Six Museum, explore and take pictures at Victoria & Alfred Waterfront, and take in nature's colorful creations at Kirstenbosch National Botanical Garden. To see reviews, where to stay, other places to visit, and more tourist information, read our Cape Town trip planner. Reykjavik, Iceland to Cape Town is an approximately 28-hour flight. Traveling from Reykjavik to Cape Town, you'll lose 2 hours due to the time zone difference. Prepare for a bit warmer weather when traveling from Reykjavik in May: high temperatures in Cape Town hover around 24°C and lows are around 11°C. Wrap up your sightseeing by early afternoon on the 30th (Tue) to allow enough time to travel to Nelspruit. 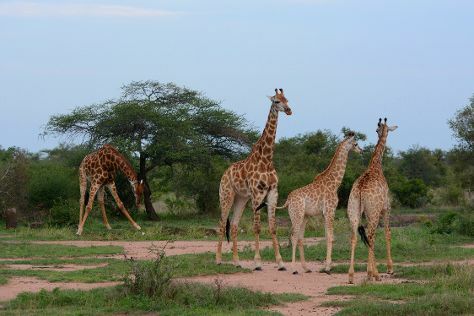 Spend the 31st (Wed) exploring nature at Kruger National Park. There's lots more to do: explore the fascinating underground world of Sudwala Caves, savor the flavors at Shautany Chocolatiers, buy something for everyone on your list at Ilanga Mall, and identify plant and animal life at Jane Goodall Chimpanzee Eden Sanctuary. To find reviews, more things to do, where to stay, and other tourist information, read our Nelspruit itinerary planner. Traveling by flight from Cape Town to Nelspruit takes 4.5 hours. Alternatively, you can drive; or take a bus. In May, daytime highs in Nelspruit are 26°C, while nighttime lows are 14°C. Wrap up your sightseeing on the 2nd (Fri) to allow time to drive to Hoedspruit. 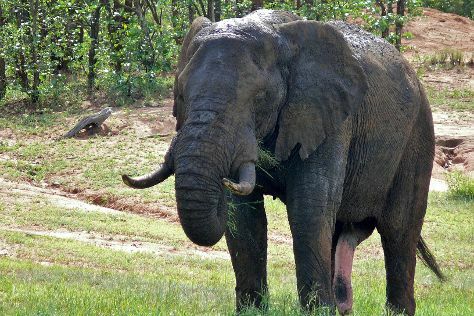 Change things up with these side-trips from Hoedspruit: Idube Game Reserve (in Sabi Sand Game Reserve) and Kruger National Park (Game drives at Phalaborwa Gate in Kruger National Park & Thornybush Game Reserve). It doesn't end there: identify plant and animal life at Thornbush Game Reserve and relax and rejuvenate at some of the top local wellness centers. For photos, reviews, more things to do, and tourist information, go to the Hoedspruit vacation trip planner. Traveling by car from Nelspruit to Hoedspruit takes 2.5 hours. Alternatively, you can drive. In June, daytime highs in Hoedspruit are 26°C, while nighttime lows are 11°C. Finish your sightseeing early on the 6th (Tue) to allow enough time to travel to Johannesburg. Take a break from Johannesburg with a short trip to Montecasino in Sandton, about 36 minutes away. Pack the 7th (Wed) with family-friendly diversions at Gold Reef City. There's still lots to do: see the interesting displays at Apartheid Museum, contemplate the long history of Mandela House, don't miss a visit to Nelson Mandela Square, and ponder the world of politics at Constitution Hill. To find maps, more things to do, reviews, and more tourist information, use the Johannesburg travel planner. Traveling by flight from Hoedspruit to Johannesburg takes 3 hours. Alternatively, you can drive. Expect little chillier temperatures when traveling from Hoedspruit in June; daily highs in Johannesburg reach 21°C and lows reach 5°C. Cap off your sightseeing on the 8th (Thu) early enough to travel back home.